This is not your grandparents’ RV! The Escape Pod is a self-contained way to reach mountain bike trails and see the world. 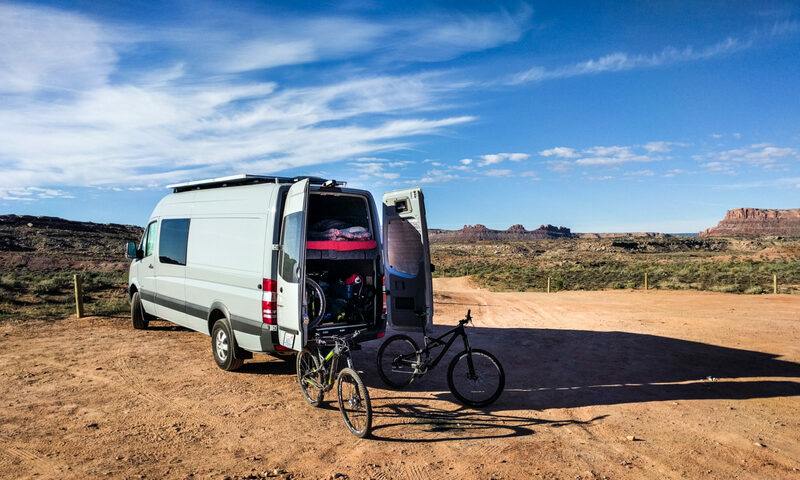 It’s a Mercedes Sprinter 4WD van with solar panels and a lithium powered electrical system so we can spend weeks away from civilization. Bamboo cabinets, hot and cold shower and sink, diesel heat, and a platform bed above a bike and gear storage area. We did all of the conversion work ourselves, and you can too!